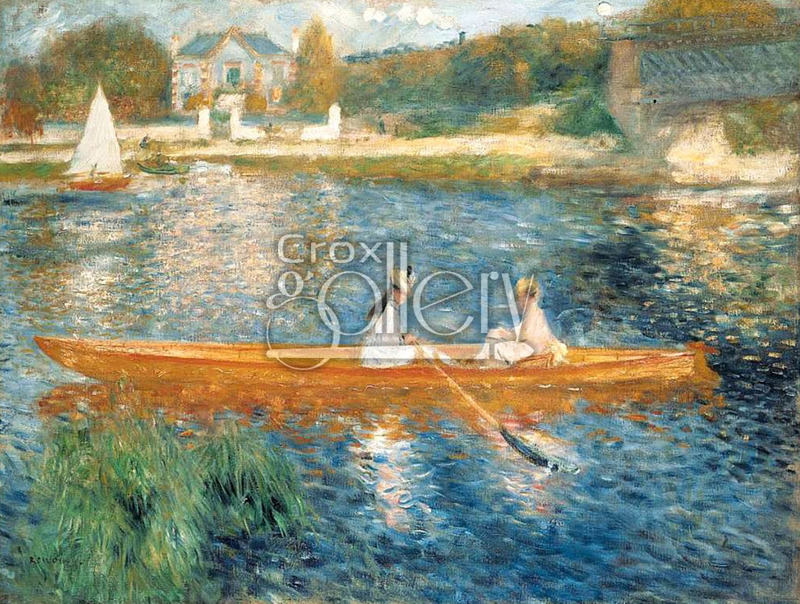 "Banks of the Seine at Asnieres" by Renoir, Painting Reproduction. 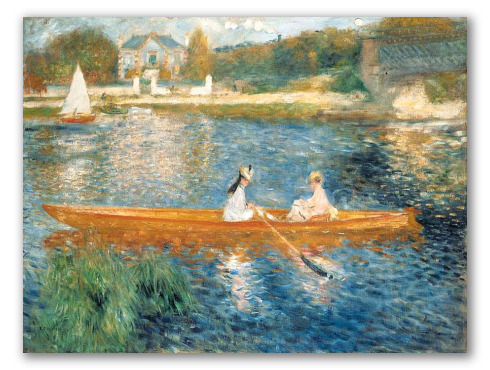 Banks of the Seine at Asnieres (also known as "The Skiff") by Pierre-Auguste Renoir, was painted in 1875. The work displays a long boat manned by two girls navigating the river Seine. The painting is now part of the permanent exhibition at the National Gallery, London.